A Chipotle restaurant in Sterling, Virginia, is back open after being closed for two days because people said they got sick after eating there. Chipotle said Tuesday that it temporarily closed the restaurant, marking a possible setback in the chain's efforts to recover from past food scares. The company said it became aware of a "small number" of reported illnesses. The reported symptoms are consistent with norovirus, for which symptoms include vomiting, diarrhea and stomach pain. The restaurant was back open Wednesday morning. 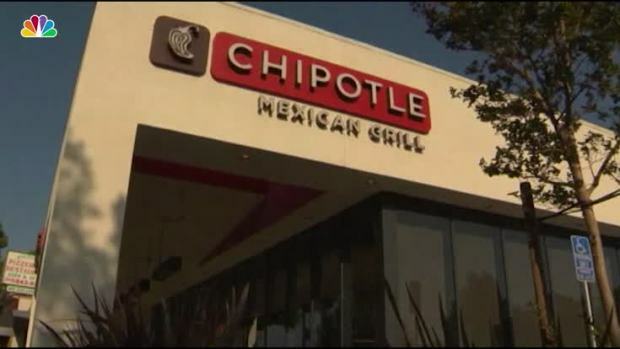 A Chipotle restaurant in Sterling, Virginia, is temporarily closed for cleaning after customers reported illnesses after eating there. News4's Chris Gordon reports. 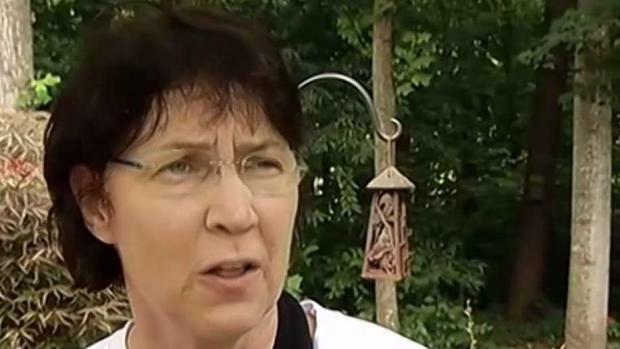 The specific cause of the outbreak has not been found, the Loudoun County Health Department said in a statement Wednesday. "We are encouraged that those affected are starting to feel better, and we are focused on preventing any new infections," the statement said. The health department did not release information on how many people said they got sick. 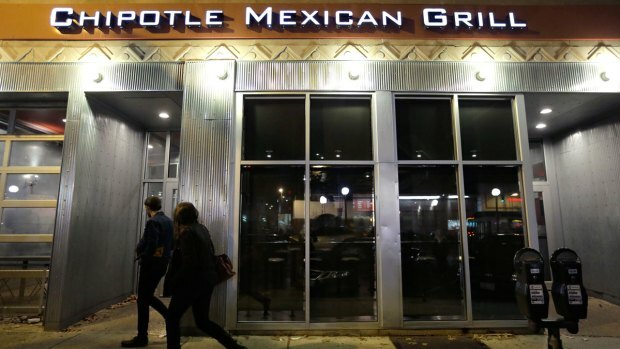 Other Chipotle locations in the D.C. area remained open. Beth Oteyza said she and her daughter got severely ill after they shared a salad with chicken from the Chipotle location in Sterling on Friday. "We decided to call the ambulance because I couldn't even sit up," Oteyza said. 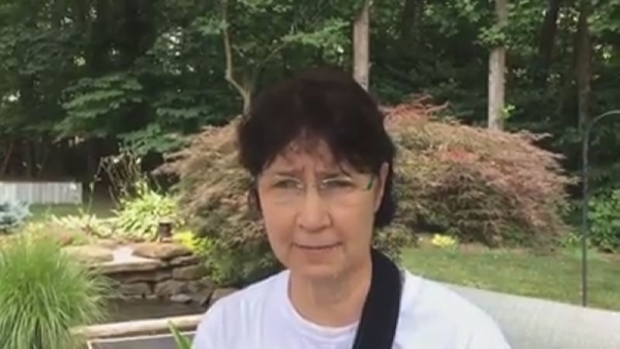 "The ambulance took me to Leesburg hospital. My daughter came and my husband came, and as they were waiting for me in the ER, she started throwing up." 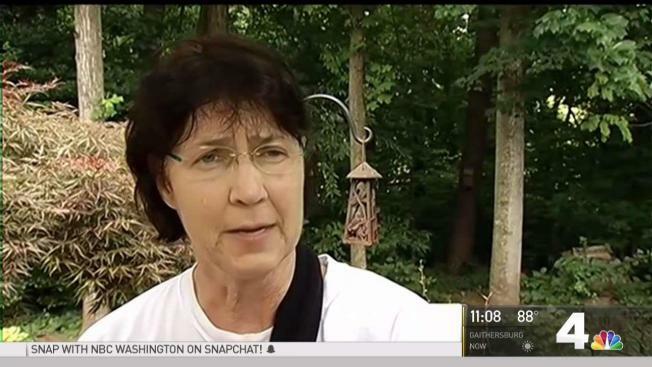 Chris Gordon interviews woman who believes she got sick after eating at Chipotle. "They both diagnosed us with the same thing, which is gastroenteritis. And when we compared our notes, we determined that the one thing we had both eaten in common was the Chipotle carryout food," Oteyza continued. On Tuesday afternoon, she said she still felt sick. Customer Chris Lee said he also got sick after he ate at the restaurant on Friday. He also ordered a salad with chicken. "About 7 o'clock on Saturday, really bad stomach pains. I just got better today," he said Tuesday afternoon. The Denver-based company said norovirus does not come from its food supply and it is safe to eat at its restaurants. "We take every report of illness seriously. In accordance with our established protocols, our team is working to ensure the safety of our customers and employees, including voluntarily closing the restaurant yesterday to conduct a complete sanitization," Jim Marsden, executive director for food safety, said in a statement issued Tuesday. Chipotle closed a store in Sterling, Virginia, after a “small number” of customers reported symptoms consistent with norovirus after eating at the restaurant. Norovirus is a highly contagious virus you can get from contaminated food, surfaces or people, according to the Centers for Disease Control and Prevention. Food workers can spread the virus through poor hygiene practices. Chipotle said Tuesday morning that it planned to reopen the restaurant later that day after a "complete sanitization." A Loudoun County health inspector at the restaurant Tuesday afternoon said she believed the restaurant would not reopen Tuesday. Chipotle has been working to bounce back from food scares that included an E. coli outbreak in the fall of 2015 and a norovirus case in Boston later that year. Among the changes the company has announced are tweaks to cooking methods and training for employees to prevent such cases. In addition to reassuring customers of the safety measures it has taken, Chipotle had been giving away coupons for free burritos and stepping up marketing to win back customers. For the first three months of this year, sales were up 18 percent at established locations. That followed a 20 percent decline in 2016. Norovirus is the leading cause of illness and outbreaks from contaminated food in the United States, according to the Centers for Disease Control and Prevention. Infected employees are frequently the source of the outbreaks, the CDC says, often by touching foods such as raw fruits and vegetables with their bare hands before serving them. Anyone who at at the Sterling location and fell ill is encouraged to call the county health department at 703-771-5411. Boston College officials say the number of students sickened by a norovirus outbreak traced to a local Chipotle restaurant has climbed to 120. Chipotle Mexican Grill's shares fell more than 5 percent Tuesday, after Business Insider reported the closure in Virginia. One Chipotle customer outside the restaurant on Tuesday said she'll return no matter what. "I love Chipotle," she repeated and laughed.